Ipoh, March 22: India will take on the 18th Asian Games gold medallists Japan in their opening encounter at the 28th Sultan Azlan Shah Cup here on Saturday. Despite being plagued by a series of injuries, the most recent being the nose fracture suffered during a practice match by Gurjant Singh who has returned home, the Indian team is upbeat and confident of a show good. "Japan, Korea and hosts Malaysia will be the teams to watch out for. They are traveling with full squads and they will pose a stiff challenge for us," said Manpreet Singh on the eve of their opening match against Japan. "The youngsters will need to step up their game and I believe having fresh faces can be an advantage, as the possibility of them knowing much about the new comers is less. "Though losing Gurjant Singh after coming here is a setback, Gursahibjit Singh, who is replacing him, is a talented forward and understands the requirements of the senior team," he added. 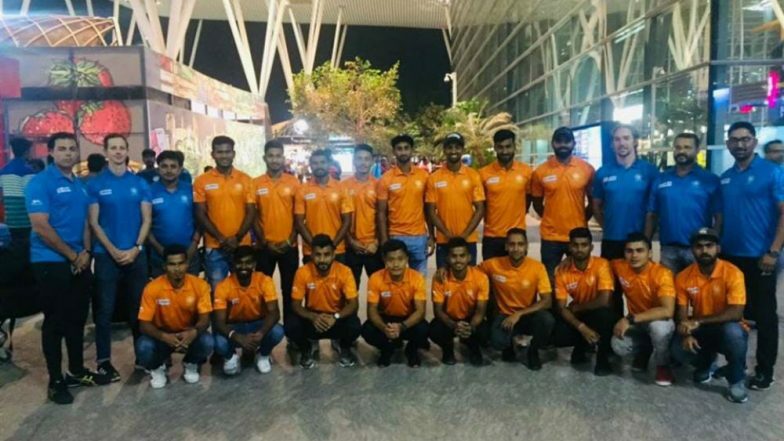 Sultan Azlan Shah Cup 2019 Schedule: Check Complete Time Table Including India's Matches at Hockey Tournament Held in Malaysia. On Thursday, the team played a practice match against hosts Malaysia, and are geared up for a good start to the tournament. India's previous outing at Sultan Azlan Shah ended with the team finishing fifth but had seen good performances by a young unit combined with a few senior players. "Youngsters have always used the platform to come up with memorable performances here and though the forward-line, barring Mandeep Singh, has about 12 caps between each other, we are hopeful they will soak up the pressure early on and deliver. It's important for us seniors to back all the youngsters in the team and guide them through the tournament to get the best out of them," Manpreet said.